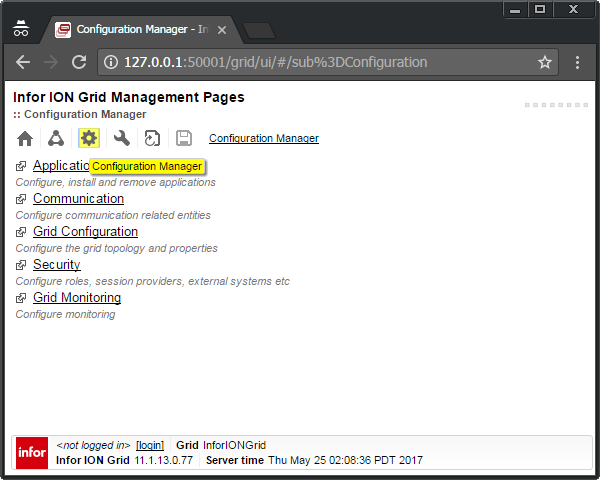 I am learning how to install an Infor ION Grid laboratory from scratch without LifeCycle Manager (LCM). I had started in part 2 with a minimalist Grid. 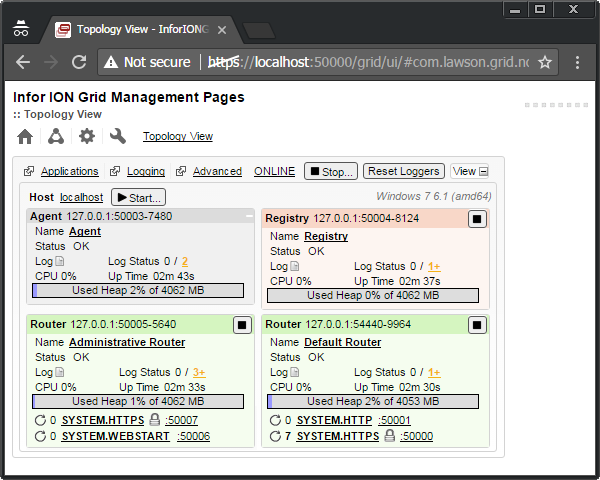 Today, I will add the Default Router, Developer Session Provider, Administrative Router, Configuration Manager, web user interface, and Grid Agent. I am learning the guts of the Grid because I am curious by nature, because I want to do penetration testing, because I want to install M3 on Linux and PostgreSQL to promote free software (as in freedom), and I want to make a proof-of-concept of M3 (just the Grid for now) on a homomorphic encryption database such as CryptDB or Microsoft’s Always Encrypted SQL Server. I must use this Chinese wall technique because as a consultant I do not have access to Infor Product Development, i.e. 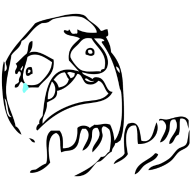 the developers do not respond to my questions, and they do not share their source code or internal documentation. I am known for having “crazy ideas”, supposedly pointless. I call it progress 😉 If we do not challenge the status quo, who will? Even if I had access to the internal details, I am not allowed to show proprietary information. The workaround is to put myself in the situation of a clean room, analogous to that of any customer that has access to the binaries and that can reverse engineer on their own. That is how I can share my results here. 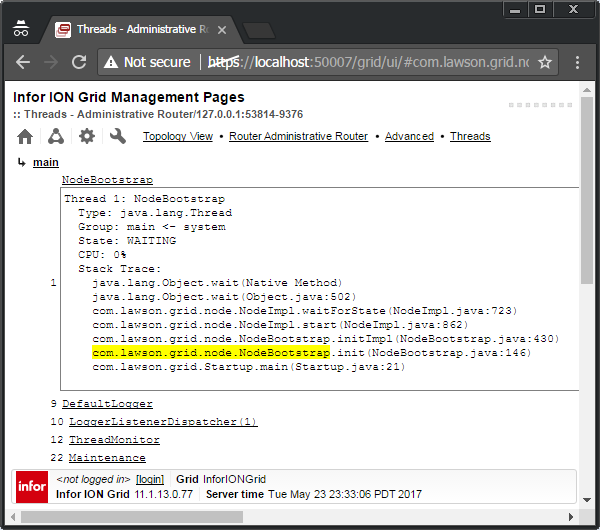 Nonetheless, congratulations to Infor for finally having made a lot of the documentation public; please encourage them as well. In that direction, please sign the petition so Infor makes their source code at least source-available or shared source, and so they cooperate more with developers. Follow part 2 to begin with a minimal Grid. 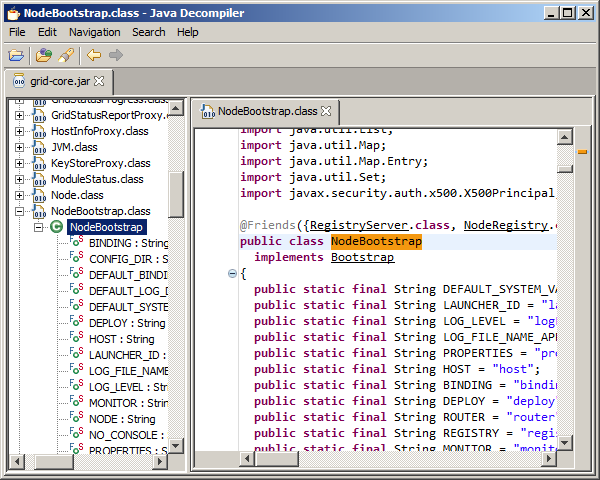 And create file webStartResources\webStartResources.properties, even though empty. 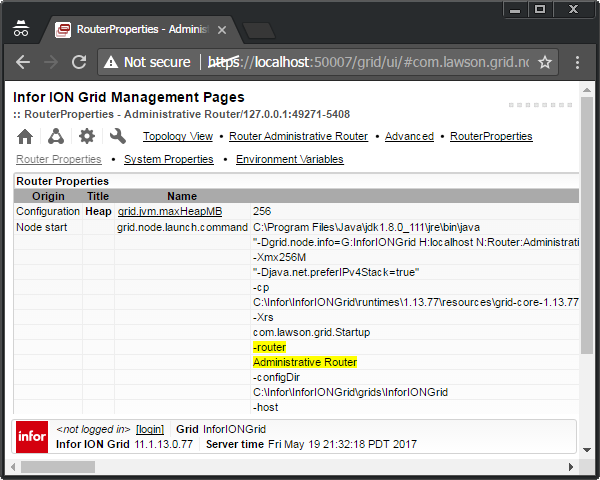 The Default Router is what Grid clients will connect to by default to communicate with the Grid. 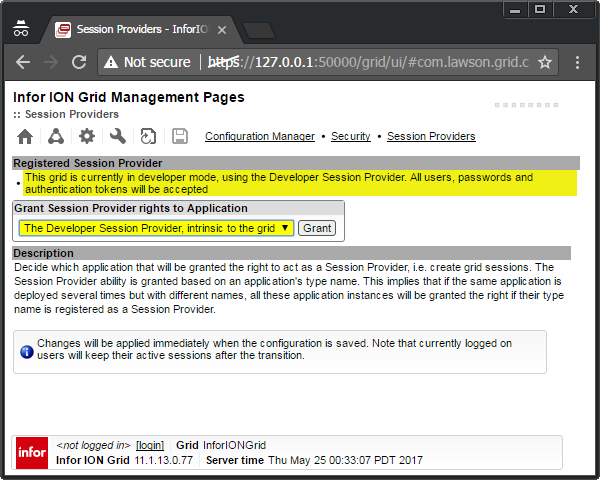 The Developer Session Provider will let us login with any user and password (e.g. 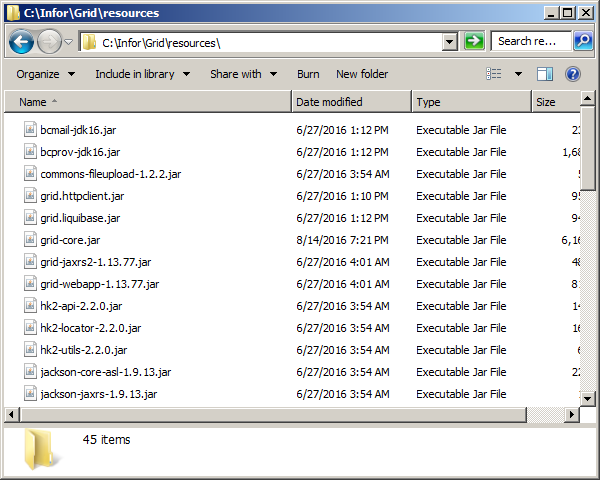 grid-admin) and get a session. 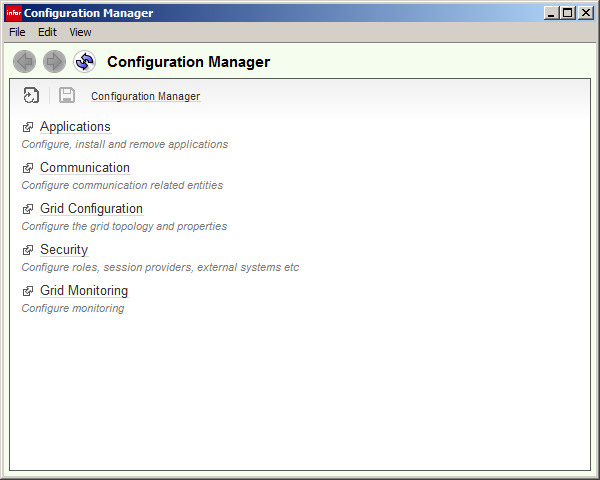 The administrative router is the server part of the Configuration Manager. 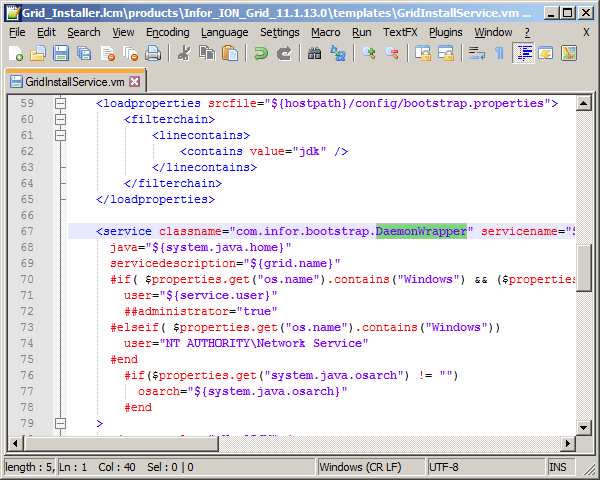 The Configuration Manager Client is the user interface to manage the runtime.xml. 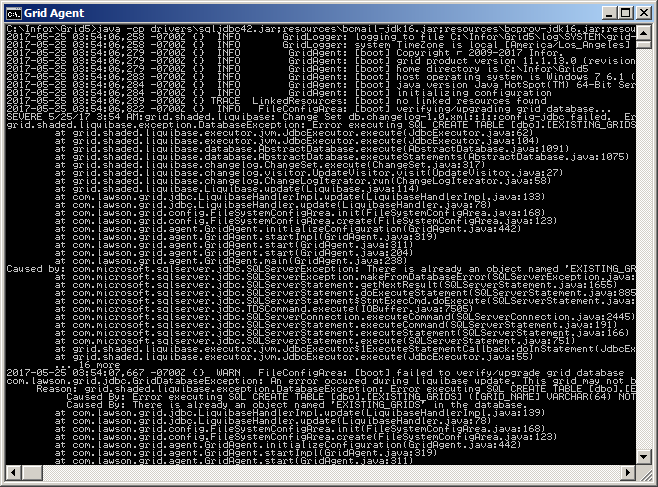 Start the Default Router as shown above. 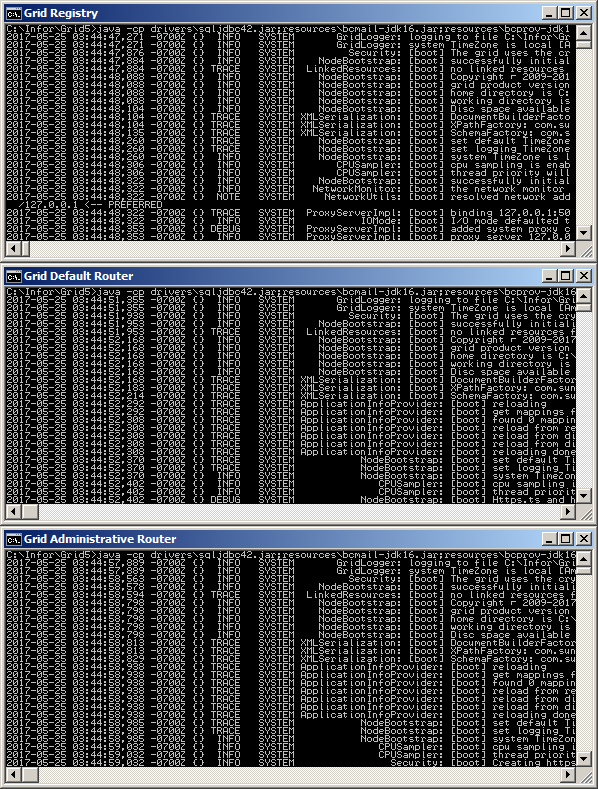 Start the Administrative Router as shown above. 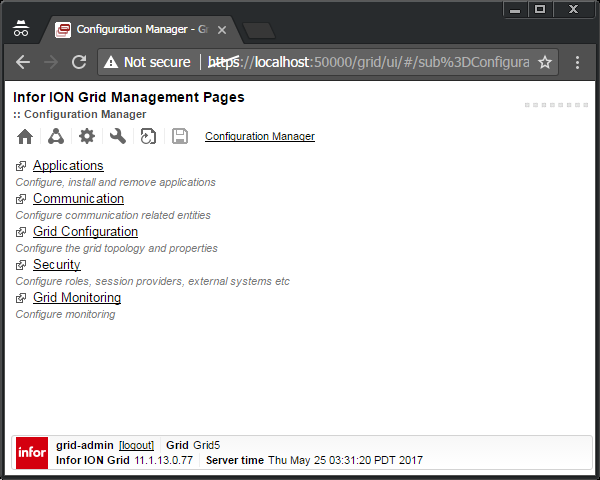 Now we can start the Configuration Manager Client and/or web UI as shown above and enjoy the Grid. 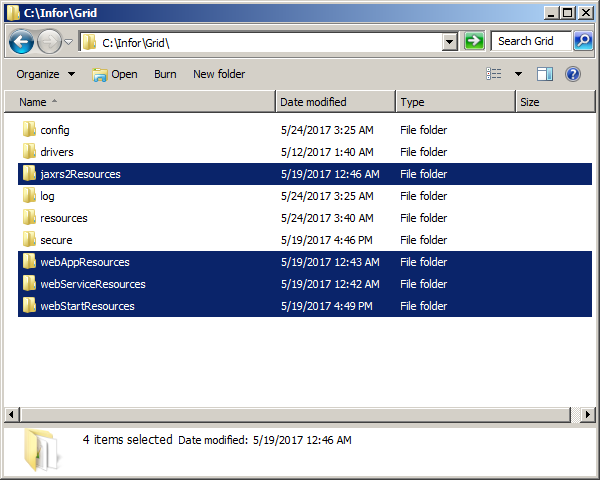 Note: The Grid Agent will attempt to create the database tables, but because we already have some tables, not all of them, it will stop. 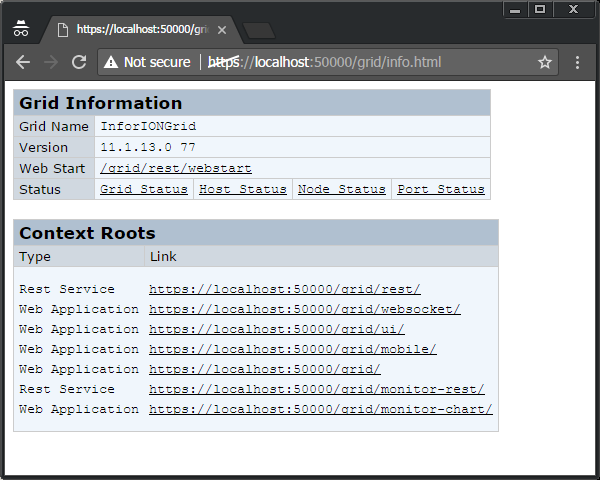 Delete all the tables from the Grid database; re-run the Grid Agent, it will create all the tables; re-import the GRIDCONF with runtime.xml and topology.xml; re-run the Grid Agent. I put the SQL and commands on my GitHub. 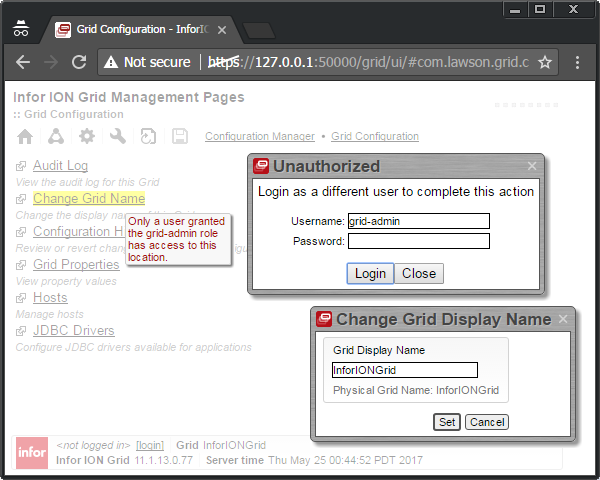 That was a continuation of part 2 of building an Infor Grid laboratory for learning purposes, beginning with a minimal Grid, and adding a Default Router, Developer Session Provider, Administrative Router, Configuration Manager, web user interface, and Grid Agent. I can probably polish some of it. I will continue in the next posts. Please like, comment, subscribe, share, and come write the next idea.